It is important to choose the right chair for our office to spend in the cosiest way the time we have at work. In fact, most of us spend most of the day sitting at the desk. The office chair must be comfortable and ergonomic, in order to avoid the arising of annoying backaches or neck pains, or to feel uncomfortable while we are at work, with negative results on our productivity, our focus and on our mood too, that is just as important. Sitting on an office chair that envelop us in its comfort it’s fundamental to work properly. That is why Infabbrica selected for you ergonomic and comfortable office chairs, to make you feel comfortable while you are at work! 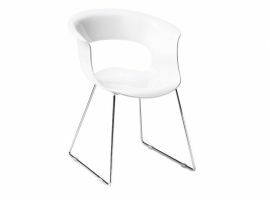 In our catalogue, you will find quality operative chairs, as well as design chairs suitable for a managerial use. Moreover, we have chairs for waiting and conference rooms. 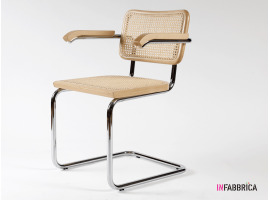 Infabbrica will satisfy you for every typology of office chair you may need! How to choose a comfortable office chair? Choosing the right office chair is fundamental to feel comfortable at work and to provide a correct body posture, in order to avoid backaches and neck pains. Since we spend most of our days sat, it is very important to get the most comfortable chair. Infabbrica offers modern and ergonomic office chairs that meet specific requirements that make them perfect to make you feel comfortable while you are working. However, which are those specific features that have to be taken in account while choosing your office chair? If you feel like it is uncomfortable, don’t panic! First, you don’t have to think that the best office chair must necessarily be cosy. Often, a chair that seems comfortable at first is not appropriate for a daily usage. It must be possible to adjust the height: the right chair should allow you to put your feet on the ground making a right angle with your legs and to watch the computer screen from the right height. If the desk is too high and it is not possible to lower the chair at the best height, it might be useful a footrest. For this reason, moreover, some chairs allow you to tilt down the seat in the forward part. 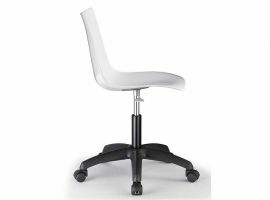 As a minimum requirement, chairs must be swivel: wheels allow you to turn your bust left and right as necessary, to take some document in the corner of the desk, for example. Furthermore, they make it easy to move yourself over a few meters with a little push of your feet, avoiding standing up to pick up something in a drawer, for example. An office chair is more comfortable if cushioned, both in the seat and in the backrest, in order to offer a cosy support and to respect the posture of our back, avoiding the arising of pains and contractures. The height of the backrest must reach at least your shoulder blades and should allow you to sit well straight, pressing against the backrest without having to bend yourself backwards too much. Ergonomic office chairs: why giving up the design? Office chairs have to be, first of all, ergonomics, in order to feel comfortable while working, something you cannot underrate. Feeling good at work is fundamental! Furthermore, the best office chairs help you to keep the right posture avoiding annoying backaches and neck pains. Therefore, comfort first. However, why giving up the design? As we well know, also the appearance has its part in making us feeling comfortable and in a good mood. That is why Infabbrica selected for you design office chairs, whose main features are comfort and elegance. 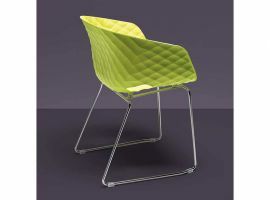 Chairs without wheels, suitable to accommodate the customers, for the waiting or the conference rooms, are impressive also in polycarbonate or polypropylene. 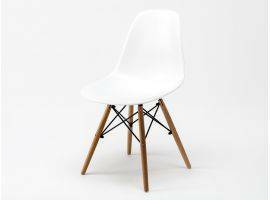 Operative chairs, instead, are more comfortable if cushioned, in leather or fabric. Obviously, a leather design chair is much more elegant and sophisticated and it is perfect for people in managerial positions who often meet the clients in their office. 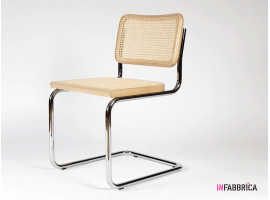 In the catalogue of Infabbrica, you will find different models of office chairs, from the classical to the modern ones, up to the vintage ones. Our experts select the best models to meet your needs and tastes! Operative office chairs? For the conference room? For the waiting room? Infabbrica has the perfect chair for you! It doesn’t exist just one type of office chairs, but several models that meet different needs and present some structural differences. Actual office chairs can be divided in operatives and executives, according to the degree of importance of the person inside the company. We call executives the chairs of the managers, those who meet the most important customers. 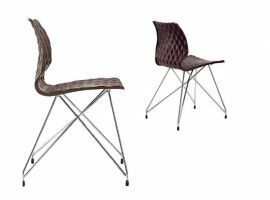 They can easily be distinguished for their appearance that usually adapt to the entire office, better furnished and classy. Swivel executive and operative chairs are preferred with the wheels, in order to turn easily to the left and to the right, without the need to stand up to pick up a document in the corner of the desk or inside a drawer. Armrest are preferred, to lean your elbow and feel comfortable, but is fundamental that you can adjust the height so you can always put your feet on the ground. The chairs of the waiting room, instead, are not required to have wheels; on the contrary, they are preferred to be unmovable. The same goes for the chairs of the conference room. 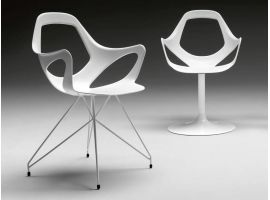 Both type of chairs, for the waiting room and for the conference room, are part of the image of a company, and it is recommended to care about their design. If you rely on Infabbrica, you won’t have to worry: your office chairs will be optimal in terms of comfort and design. Buy your office chair online with Infabbrica! Leaf through the catalogue of Infabbrica to choose the perfect office chair for you. Operative chairs with wheels, or without wheels for the conference rooms, you will find what you need! If you need assistance while ordering your office chair, please contact us at +39.0721.580999 or send us an email at info@infabbrica.com. 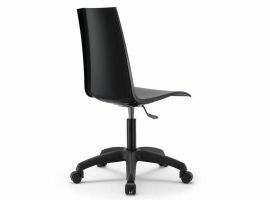 Buying office chairs online on Infabbrica.com is really fast and easy. In fact, you can buy the chair you need, cosily sat on your couch (or on the uncomfortable office chair you are about to substitute). Select the chair you prefer, add it to the shopping cart then continue with the payment, choosing the way you prefer: PayPal, credit card, bank transfer or counterfoil! 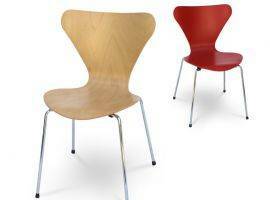 Infabbrica will follow your order step by step until the delivery of the chairs you ordered straight in your office! Have a nice shopping!